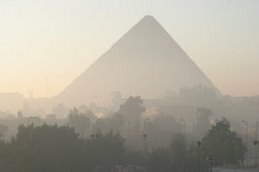 Egyptology News: Ministry of Antiquities reinstated? New ministers in Prime Minister designate Kamal el-Ganzouri’s government have started arriving at the Ministry of Planning’s headquarters in Nasr City, as a prelude to the final announcement of all the ministers. Six new ministers arrived at the headquarters, including Deputy Minister of Education for Secondary Education Gamal el-Araby who is nominated for Minister of Education, Hussein Khaled who is nominated for Minister of Higher Education, Mohamed Ibrahim Ali nominated for Minister of Antiquities, Adel el-Adawy for Minister of Health, Adel Abdel Hamid for Minister of Justice and Abdallah Ghorab as Minister of Petroleum.